Find below details of invited seminars, talks and workshops for various institutions and industry partners. 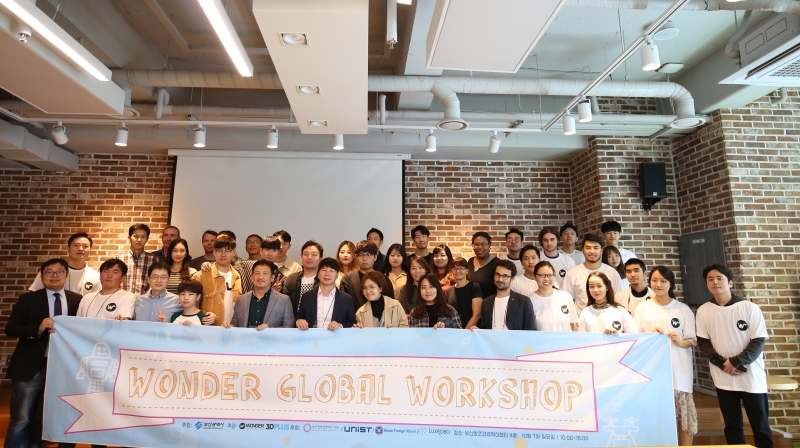 Professor Self and his design team from the School of Design and Human Engineering at UNIST participate in the Wonder Global Workshop makerspace event, hosted in partnership with Busan Center for Creative Economy and Innovation and Busan Foreign School (BFS) from October 6 to 7, 2018. Represented within the photo are teachers from Busan Foreign School and across the East Asian Region (China, Philippians, and Korea), UNIST design students, industry and academic partners. Workshop together with Korean Indutry partners and Jeongju Uniiversity. Prof. Self provides keynote entitled meaning innovation in design. Departmental seminar series aimed towards graduate engineering students. Seminar entitled: DESIGN AS REPRESENTATION: UNDERSTANDING DESIGN THINKING THROUGH ANALYSIS OF IDEA EXPRESSION. INVITATIONAL SEMINAR, BRUNEL UNIV. LONDON, UK. Invited seminar discussing the role and use of design representation as both means of communication, expression and development of design intent. Seminar to present differing approaches to design research: DESIGN PRACTICE RESEARCH: ON, THROUGH AND FOR DESIGN. Student seminar to present works on understanding the role and use of sketching as critical tool in support of design practice: SKETCHING AND ITS RELATION TO DESIGN PRACTICES. Two day workshop to provide high school students introduction to design and creativity. Application of learning in the design and low-fidelity prototyping of a simple product for a specific use and user-group. DHE Design Workshop for UNIST freshman students. Introduction to design and designing through practical design project. Special lecture for visiting students to understand the use and role of design as related to engineering disciplines.